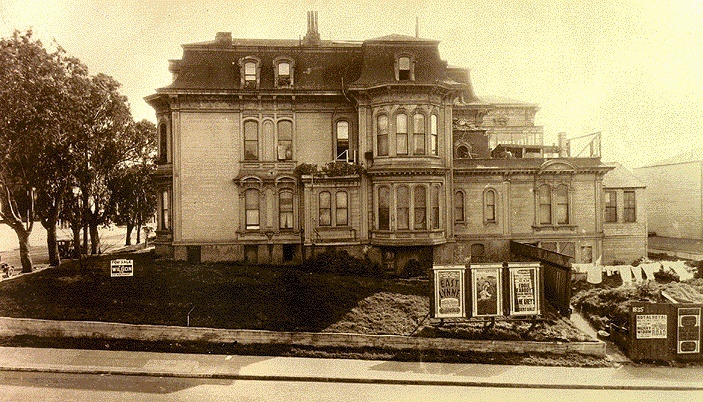 The Bell Mansion at Bush and Octavia, about to be demolished in this 1928 picture, hosted much intrigue between Thomas Bell and Mary Ellen Pleasant, the infamous 'Voodoo Queen' of early San Francisco. 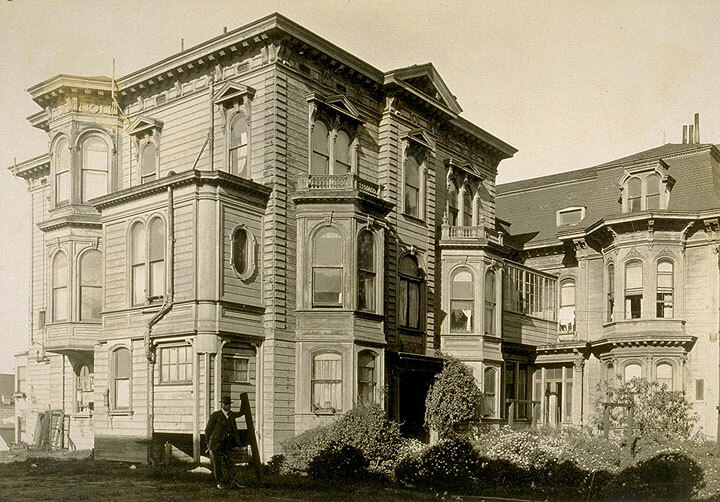 This same corner later became home to a Planned Parenthood Clinic. 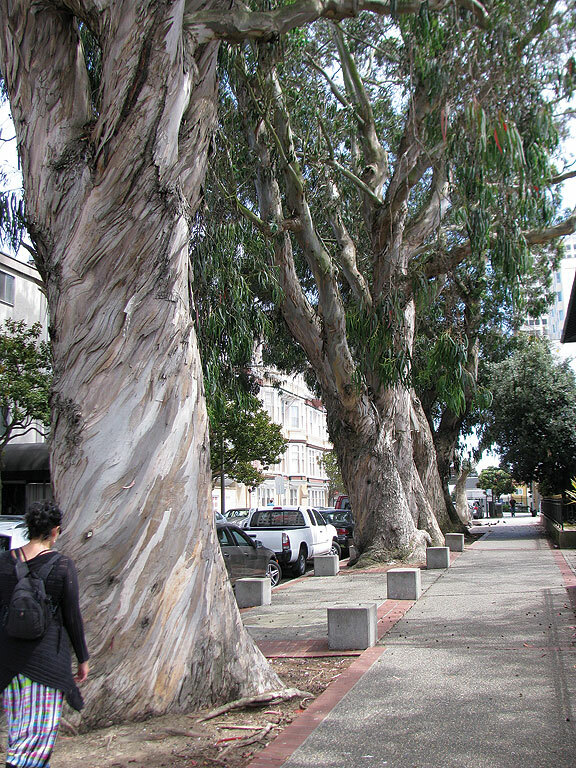 These are the same eucalyptus trees visible at left in older image, now more than a century old. Old Bell Home, January 1925. The house dates to about 1870. Jesse Brown Cook at corner in photo. 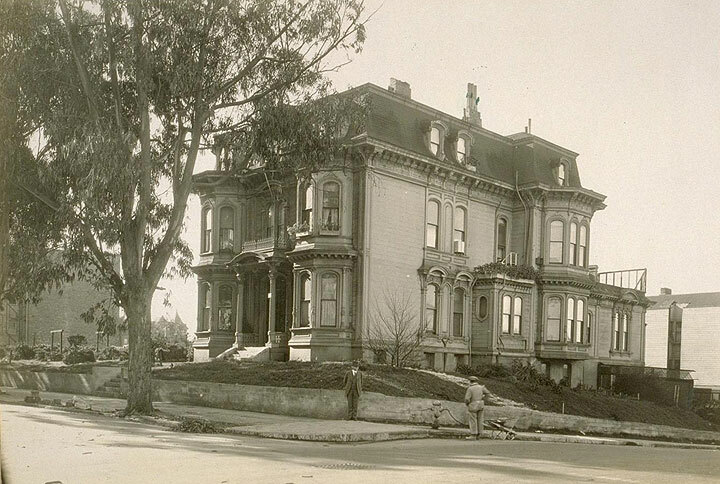 This house joins the old Bell Mansion on the southwest corner of Bush and Octavia Streets, January 1925, with Jesse Brown Cook in front. 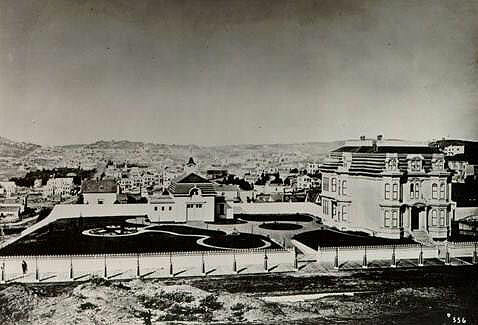 Bell/Pleasant Mansion on Bush and Octavia with the full lot, late 19th century. 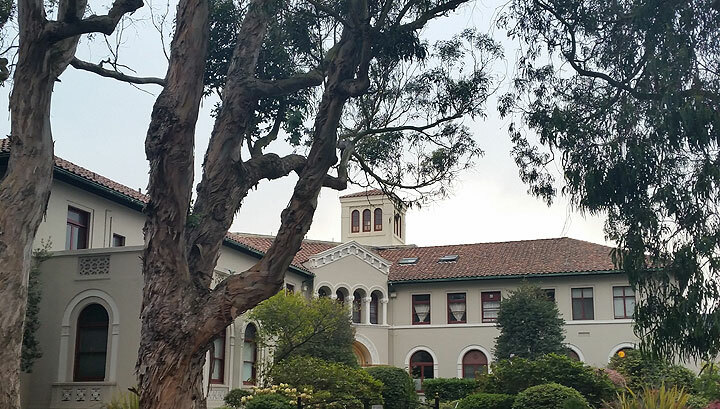 Building occupying the same corner in 2016.